Capital One recently used the experiential power of a 44′ Projection Dome to build brand and product affinity with consumers in Denver. Through travel-themed 360° film projections, the Capital One VENTURE Dome became the launchpad for the company’s new VENTURE credit card. The stunning 360° films were seamlessly mapped and projected onto the dome’s inner liner, visually transporting visitors to virtual reality scenes of ski slopes, rivers, forests and glinting sunbeams spotlighting scuba divers. 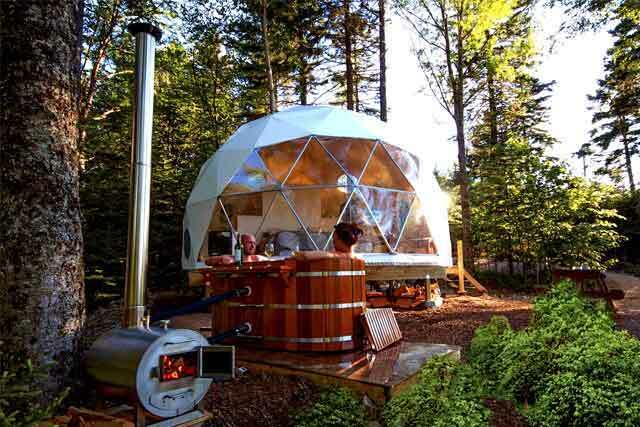 Projection Domes are landmarks and often become the organic hub of any event. 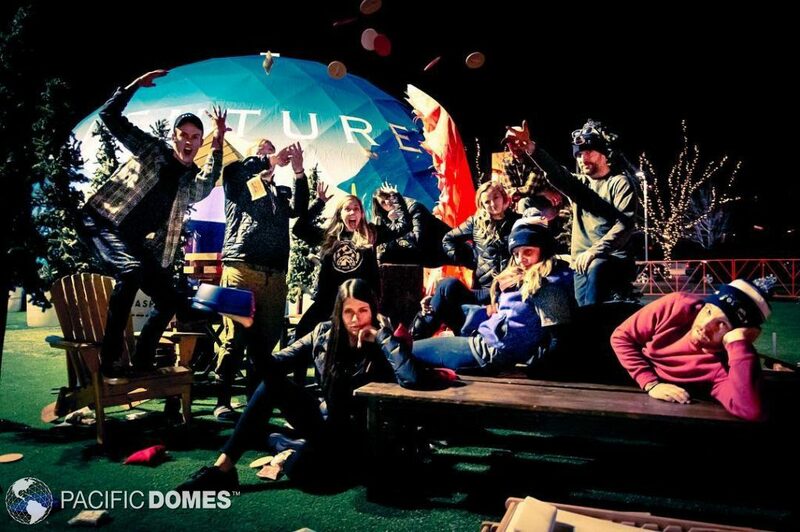 The destination VENTURE Projection Dome appeared at four locations across the greater Denver area: the Grandoozy Music Festival, Cherry Creek Shopping Center, BelMar and the Downtown Rink at Skyline Park. 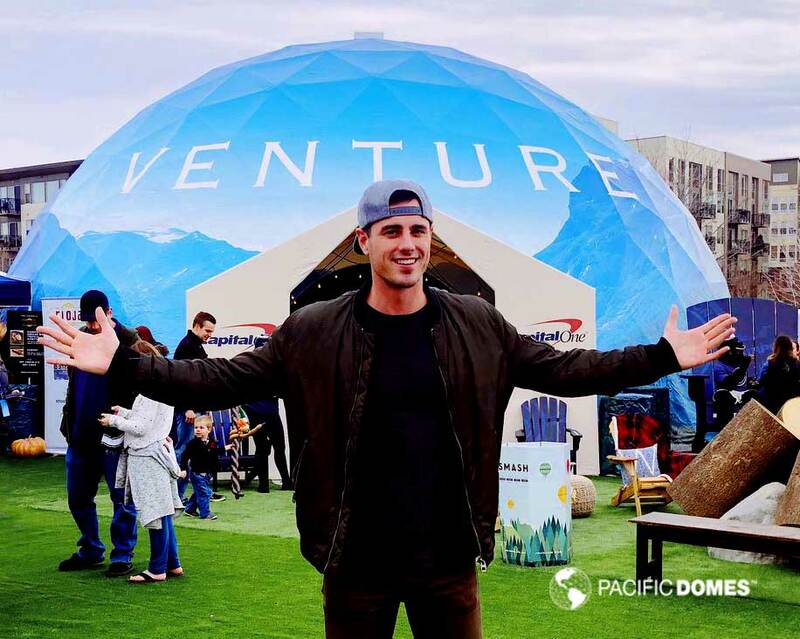 Capital One developed the hashtag #DestinationVenture to amplify and connect the series of events across social media. An event guest fully immersed in VR projections created by Lumen & Forge. Image by Lumen & Forge. 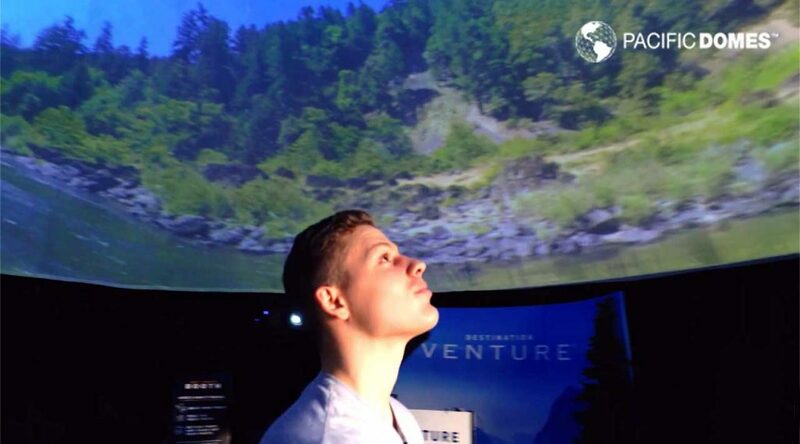 Projection Domes deliver instantly rewarding experiences beyond 3D. As audiences become increasingly hungry for new experiences, media and technology, Projection Domes provide a quantum leap forward in experiential events. The event tech includes projection mapping technology to transform the curved interior form of the dome, transporting those inside to an immersive virtual reality. The unique space is also the ideal backdrop for capturing content to be amplified across digital platforms. Like Capital One, many leading brands have utilized this powerful event-tech platform to launch industry-leading marketing programs. Transport your community to virtual worlds where immersive projection technology and a geodesic geometry work together to encode your message into the collective consciousness. 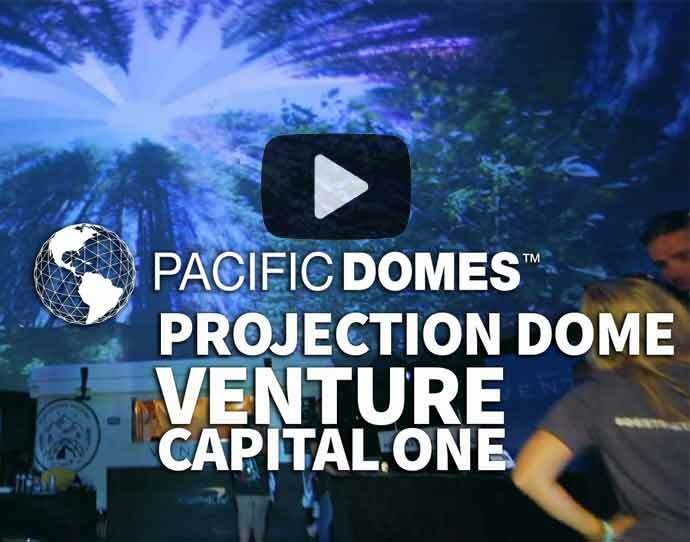 Capital One used a Pacific Domes Projection Dome to launch the new VENTURE card.